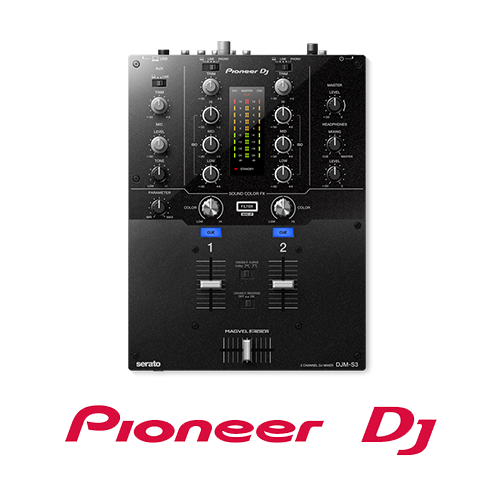 Thanks to the built-in sound card, this 2-channel mixer is Serato DJ Pro enabled as soon as you unpack it. Featuring a highly durable Magvel crossfader, inherited from the DJM-900NXS2, the DJM-S3 delivers a smooth and accurate response. The scratch-friendly layout creates more room for you to be creative in the booth. No need to go easy, the DJM-S3 is built to withstand intense performances. And to bring even more creativity to your performances, you can connect the DDJ-SP1 controller and use its large Performance Pads for tactile control of many Serato DJ Pro features, including its FX.